10" Uniservo hydraulic brakes assemblies with dichromate coated components and stainless steel sprin.. Boot replacement kit Description: Boot Replacement Kit..
Wheel cylinder replacement Description: Wheel Cylinder Replacement (One Axle)..
For use with Bearing Buddy on trailers with brakes or as replacement seals. Lets seal ride on perman.. Keeps water and dirt out of wheel bearings and keeps them properly lubricated. Makes hubs safely sub.. Allows for quick positive visual check for lubricant level and internal hub pressure. Auto pressure .. Keeps grease off trailer wheels. Pack: 2Fits: Bearings 1781, 1810.. Keeps grease off trailer wheels. 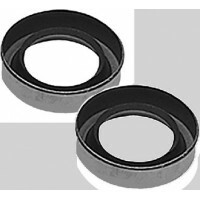 Pack: 2Fits: Bearings 1980, 1938, 1968..
1.98x1.38 wheel seal 2/cd Pack: 2Size: 1.98" x 1.38"Bearing Cone: L44649..
2.33x1.68 wheel seals 2/cd Pack: 2Size: 2.33" x 1.68"Bearing Cone: L68149..
2.56x1.68 wheel seals 2/cd Pack: 2Size: 2.56" x 1.68"Bearing Cone: L68149..
3.26x2.13 wheel seals 2/cd Pack: 2Size: 3.26" x 2.13"Bearing Cone: 25580..
Axel seal 3.38in- 2.13in 2/cd Pack: 2Size: 3.26" x 2.13"Bearing Cone: 25580..
1.781 bearing buddy 2/cd Pack: 2Bearing Cup: LM11949Diameter: 1.781"..
1.938 bearing buddy 2/cd Pack: 2Bearing Cup: 09067Diameter: 1.938"..
1.968 bearing buddy 2/cd Pack: 2Bearing Cup: M12649Diameter: 1.968"..
1.980 stainless b. b. 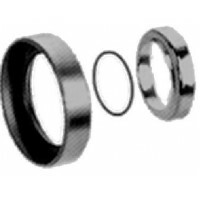 2/cd Pack: 2Bearing Cup: L44610Diameter: 1.980"..
1.980 threaded b. b. 2/cd Pack: 2Bearing Cup: All internally threaded hubsDiameter: 1.980"..
2.441 threaded ss bearing 2/cd Pack: 2Bearing Cup: LM-67048 (hub counterbored)Diameter: 2.441".. Bearing buddy s.s. 2/cd Pack: 2Bearing Cup: VariousDiameter: 2.047".. 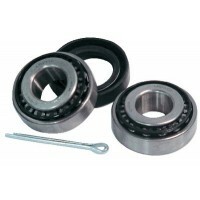 Bearing buddy s.s. 2/cd Pack: 2Bearing Cup: LM67048 (hub not counterbored)Diameter: 2.328".. Bearing buddy s.s. 2/cd Pack: 2Bearing Cup: LM67048 (hub not counterbored)Diameter: 2.441".. Provides permanent protection against damage from water and dirt entering bearings and prevents corr..
Offers a snug, flexible fit over the Fulton Bearing Protector, sealing the zerk fitting off from gri..
1500 series grease caps are zinc-plated for corrosion resistance. Size: 1"..
1500 series grease caps are zinc-plated for corrosion resistance. Size: 1-1/2".. Specifically engineered for boat trailers. Stainless steel spring and overload valve keeps hub greas..
High speed tapered roller bearing kits. Includes 2 cups, 2 cones, grease seal and cotter pin. Spindl..
High speed cast threaded wheel hubs come complete with parts including: lug bolts, bearings, seals, ..
A sophisticated lubricant for severe operating conditions caused by salt water, air, and atmospheric..
Quickly dissolves and removes oil, grease, brake fluid and oxidized oils from all types of brake sys..
Model Cone/Bearing Cup/Race Seal53521: LM11949 LM11910 Single Lip, AE8439N53531: L44643 L44610 ..